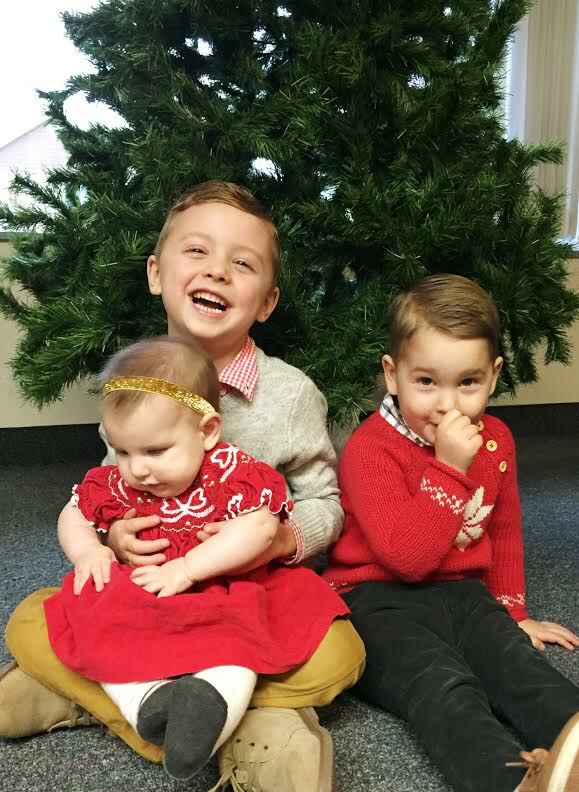 Here's more of our Christmas edition of "life according to my iPhone". 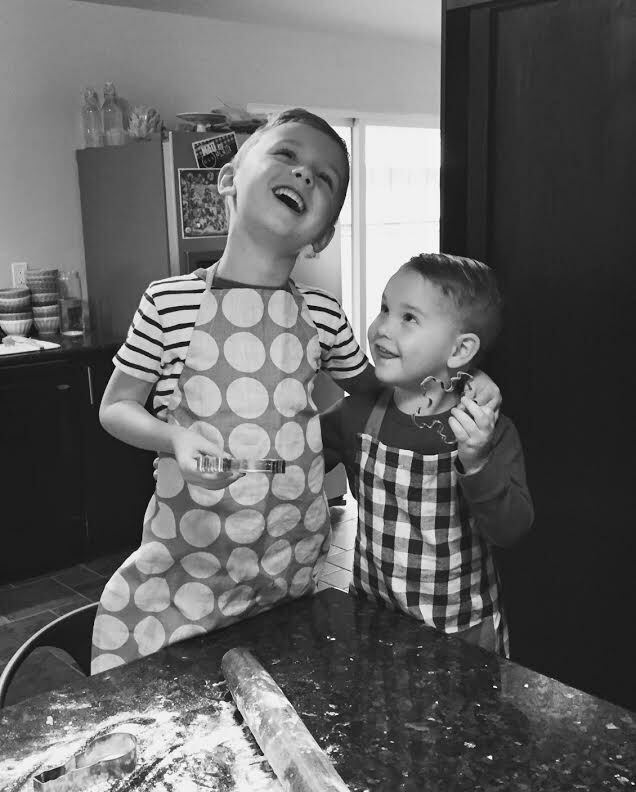 I made sugar cookies with the boys the other day. It was messy and they were uninterested after about 15 minutes so I ended up making most of them by myself, but hey - we got a picture and that's all that matters. Am I right or what? On Saturday, we headed over to the mall (yes, we are crazy!) 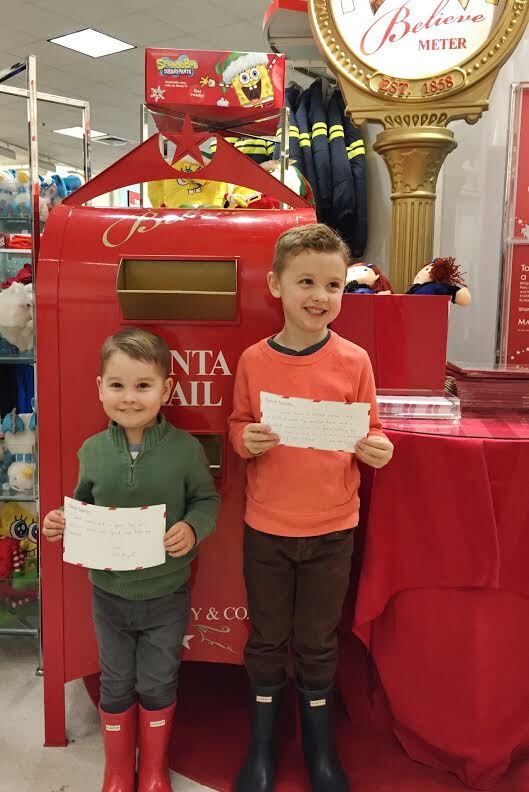 and had the boys fill out a letter for Santa and put it in the Santa Mail at Macy's. William asked for: a stuffed zebra, a stuffed walrus, a dog (dalmatian) and a toy monster truck. Fritz just wants candy (go figure) but I also coaxed out of him that he wants a green car. 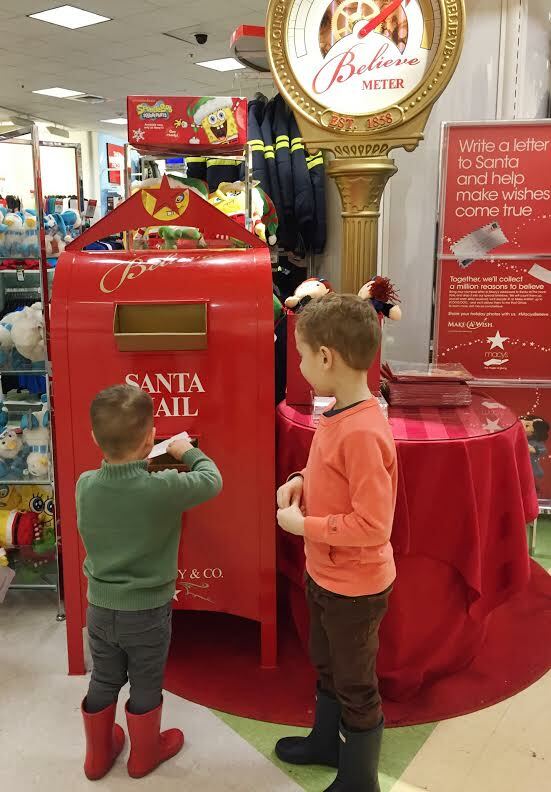 Hope Santa comes through! :) Then, we met up with my brother and co. and the dads took the big kids to the Flight Museum while Leone and I finished up some last minute shopping at the mail with the baby girls. Then we rejoined together at home for some delicious Thai food from our favorite take-out spot. We always love to spend time with them! 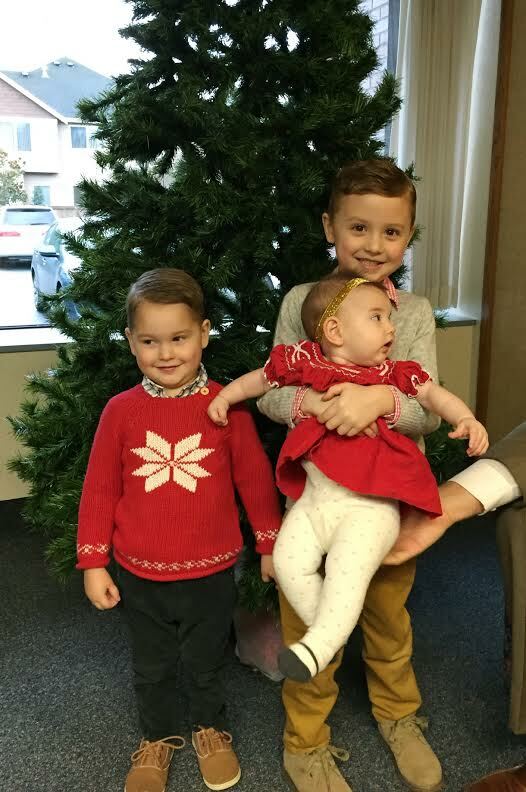 The kids got all spiffed up in their Christmas outfits on Sunday for church. I wish you could see how cute Louisa looked but she only has eyes for Daddy. Her dress and spotted tights were adorable... as is Fritz's face in this picture. Haha! All Louisa wants for Christmas is her first tooth. Man, teething is rough! Poor thing just gnaws on everything in sight but I have a feeling that her first little chomper is about to emerge! 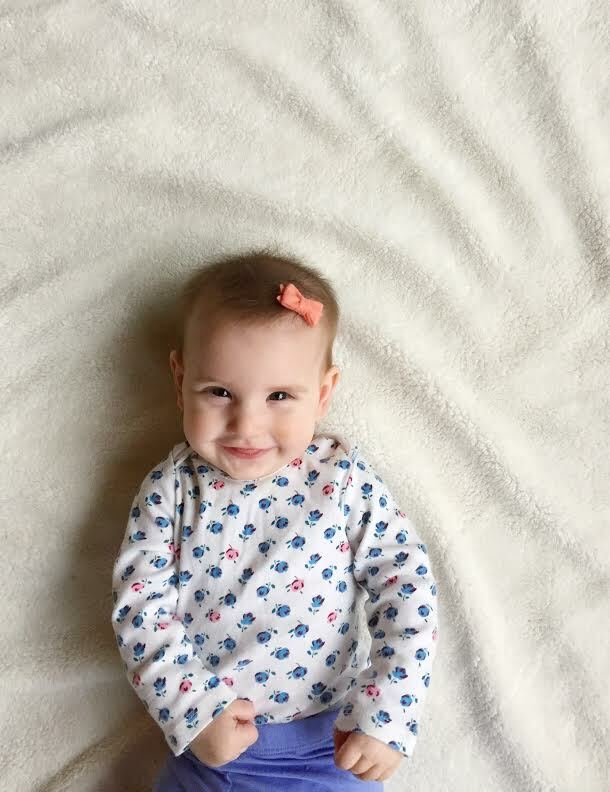 Nevertheless, she remains smiley and sweet - just like we like 'em! 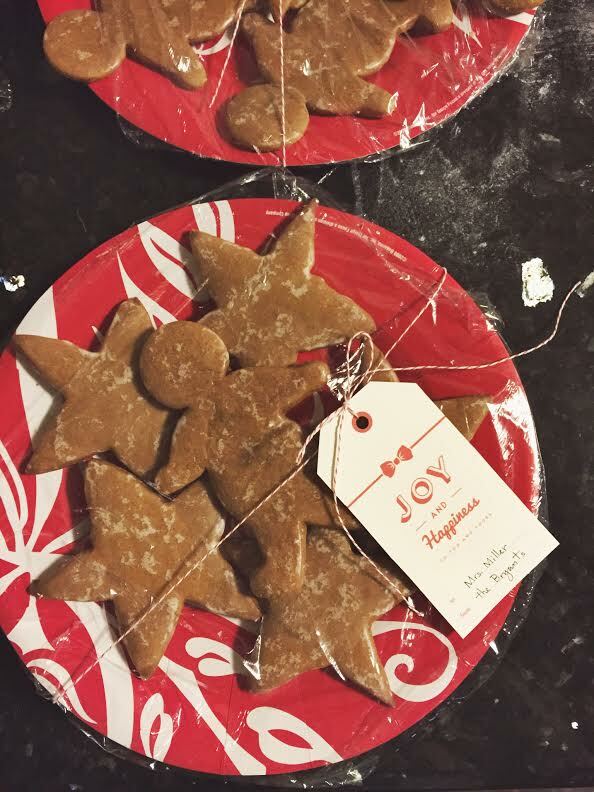 I made these gingerbread boys and stars for neighbors and they were delicious. Plus, they made my house smell like Christmas! We dropped them off and caroled for our 90-year-old neighbor next door and she was so happy. It was pouring rain so we were actually walking from house to house in our rain gear and umbrellas but it was still fun!